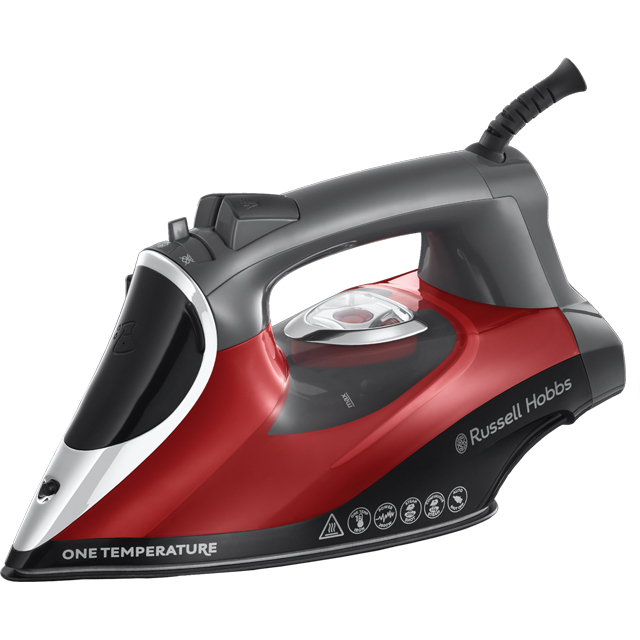 Getting through your laundry will be a smooth operation thanks to this stylish iron from Russell Hobbs. The ceramic soleplate glides effortlessly over anything from your favourite pair of jeans, to those tricky shirt cuffs and collars. With an impressive steam output of 50 grams per minute and powerful 2600 Watt output, it’ll banish those deep creases and have your whole outfit looking as good as new. There’s also a vertical steam option that’s ideal for hanging garments, so you can gently run the steam over your silk blouse just before you head out. The added self-clean function also cleverly banishes limescale and dust with a blast of water and steam, to keep your iron working seamlessly.